If you’re feeling lonely because you’re celebrating Halloween solo, turn on your porch light to let trick-or-treaters know that you’re home and handing out candy. Fill a couple of large bowls with candy you’ve picked up for the occasion. 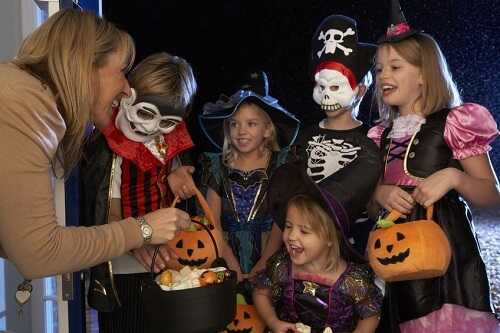 Hand out the candy and exclaim over all the little ghosts, ghouls and goblins who show up at your door. Besides, it’s a great reason to wear your Halloween costume. You don’t want little monsters to see you in pajama, do you?